The iconic Rosé Grand Cru vintage from the Taittinger House. This vintage is elaborated based on Chardonnay wine for 30% and Pinot Noir for 70% exclusively, coming from vineyards exclusively classified Grand Cru. Only the must (grape juice) from the first press are selected. The colour is a sustained pink. To the nose : intense aromas of citrus, blood orange, then red and black fruits, quince jelly and blackcurrant. To the palate : the same expression of fruit with a lingering finish. 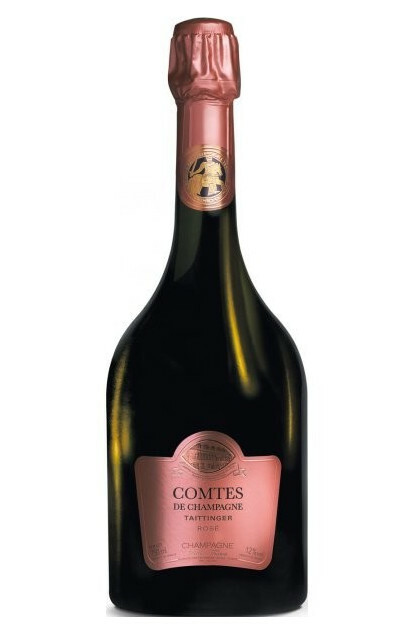 This Champagne is perfect for every moment, as an aperitif or as a wine with a pigeon with basque or Montmorency cherries, or even a pink lamb or to fit a dessert like baked pears or a red fruit gratin.